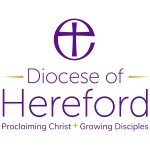 The Diocese of Hereford seeks a person with a passion for mission and the ability to use their outstanding communication skills to reach our diverse community. We are committed to spiritual and numerical growth in our church communities and use a wide range of media channels to reach people. If you have the skills and experience to build on this, then we want to hear from you. We believe that effective communications are key to delivering these aims. However good an idea or however worthy an initiative, support will not be gained if the concept cannot be communicated to those who must give their time and their talents towards its realisation. Experience of connecting with our younger members, and those we strive to reach, through social media, film and creative content. Ideas about how to build our brand identity, raise brand awareness and campaigns we could run to achieve this. Given the nature of the role and its central place in promoting and communicating the aims of the Diocese and within the provisions of the Equality Act 2010 there is an Occupational Requirement that the post holder be a committed Christian. Manage the delivery of a range of diocesan communications priorities in line with those identified in the Diocesan Mission Action Plan, especially in relation to activities that intentionally promote mission and growth. Lead on the development of a new diocesan website, ensuring it becomes a support and resources hub for church community members to help them share the Christian faith with those they meet. To act as Press Officer for the Diocese and in particular for the Diocesan Bishop. This may involve taking out of hours’ media enquiries, updating social media and attending weekend and evening meetings. It is the practice of the Diocesan Board of Finance to periodically review job descriptions, update them and ensure that they relate to the job performed, or to incorporate any proposed changes. Should change be required the Board will aim to reach agreement on reasonable changes, but if agreement is not possible, the Board reserves the right to make changes to your job description following consultation. To enable shortlisting to be carried out in a fair and unbiased way you should provide sufficient information to demonstrate how you meet or exceed the criteria outlined in the role description. Excellent IT skills including MS Word, Outlook (calendar and email), social media platforms and associated scheduling systems, such as Hootsuite, and e-newsletter systems, like Mailchimp.